To the majority of us Indians, Diwali is the most important festival of the year, however, a few brief months after Diwali, Christmas celebrations erupt all across the world. To most people on Earth, Christmas is the biggest festival of the year and one that greatly eclipses Diwali in splendour and importance. Firstly, simple questions come to mind such as when is Christmas and why is it celebrated? Well, Christmas falls on 25th December every year and is celebrated as the day Jesus Christ was born nearly 2,017 years ago in the city of Bethlehem. There are well over 220 crore Christians all over the world who together make up 31 per cent of people alive today. To try and understand how large a number this is, consider that the entire population of India is 130 crore people of which 2.4 crores are themselves Christians. Because of the importance of Christmas, we at Ifazone believe it is befitting to share the spirit of Christmas with our readers. Learning about Christmas is important because whether you know it or not, Christmas has touched your life and done so maybe without you even knowing it. Gradually Christmas is beginning to enter the consciousness of mainstream Indian society. During Christmas time malls across India are decorated with a Christmas theme and often the colors red and white (colors usually associated with Christmas) and beautifully decorated Christmas trees greet visitors in peoples homes and in shopping malls. 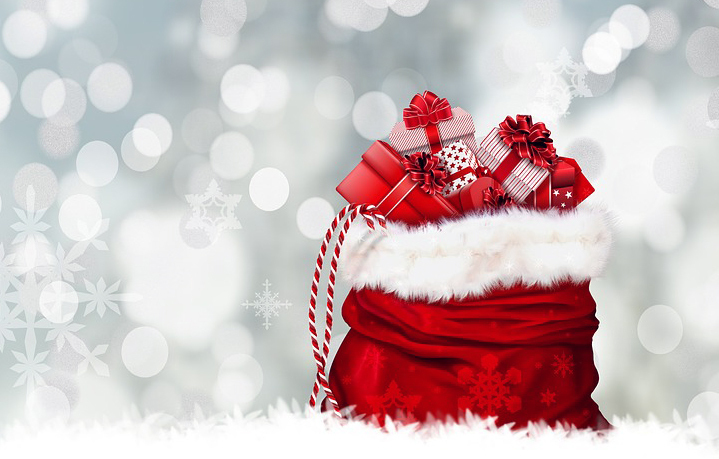 The association of the colors red and white with Christmas belies an interesting anecdote that has to do with a successful marketing campaign by Coca-Cola. The similarity between the colors of Christmas and Coca-Cola is no coincidence but is the end result of a successful marketing strategy by Coca-Cola put into action over a hundred years ago. Smartly, the Coca-Cola company changed the outfit worn by Santa Claus from one made of animal hides and skin to one of a red and white colored jacket and pants and a similarly colored hat. This marketing strategy was so successful that the entire world adopted the new avatar of Santa Claus that Coca-Cola was responsible for creating. The new avatar that had originally been created by Coca-Cola as a marketing campaign has gone on to become the default dress worn by Santa Claus and is a highly visible symbol of Christmas. Christmas is cherished for different reasons from one region of the world to another, in North America a “White Christmas”, meaning its snowing or snow is on the ground on Christmas day is considered a special Christmas whereas in Africa a “White Christmas” is unheard of unless one happens to be in certain parts of Morocco during Christmas time. Many adults in the United States and Canada have fond memories of a White Christmas they had when they were children. Just as Diwali is the most magical time of the year for many children in India, so too is Christmas looked forward to eagerly by children in Christian homes. Carolling, which is going from one home to another in a large group and singing Christmas songs is an important Christian tradition. If there is snow on the ground when these carols are sung it adds an extra bit of charm to Christmas. There is no one ideal Christmas because Christmas is celebrated with pomp in every corner of the world and by people from diverse cultures. While reuniting with family members is an important part of celebrating Christmas, especially in developed countries where family members often live some distance from one another, many children love Christmas because they usually receive presents from family and friends. Giving and receiving gifts from others is a huge part of the spirit of Christmas. Many of the children in Christian houses believe that Santa Claus rides his sleigh carrying presents and comes down the chimney of every house on Christmas Eve when the children are asleep leaving presents for them under the Christmas tree. When they wake up the next day they are thrilled to find presents in colorful wrapping under the Christmas tree just waiting to be opened. Of course what they don’t know is that the presents were put there by their parents the night before. Many children when they are old enough are heartbroken to learn that Santa Claus is not real and that the presents they thought Santa had been bringing them were actually given to them by their parents. Christmas has its culinary side. Among adults, the lament of overeating and of gaining extra weight echoed by Indians after the Diwali season is similar to that heard across the world from many after the Christmas season as well. Remember, just as many in India love Diwali because it is a festive time when some of the best food is found in every houses kitchen and dining table, so too do Christians love Christmas because they have the chance to gorge on tasty food during their most important festival. While popular delicacies vary from region to region, a roast turkey is one of the most popular types of foods eaten during Christmas. Other popular food items often eaten during the Christmas season include gingerbread cookies, rich cherry pie, cupcakes (a round cake with sweet icing on top that can be held in one hand and eaten), marshmallows, pumpkin pie, and many many other available delicacies depending on which part of the world one happens to be celebrating this festival. Well, Christmas is just around the corner and though in India this important festival commands nowhere near the status as do other festivals- if our readers gain a slightly better understanding of the spirit of Christmas after finishing article- we at Asort will consider ourselves to have succeeded in bestowing them with a fresh perspective on a centuries-old festival.